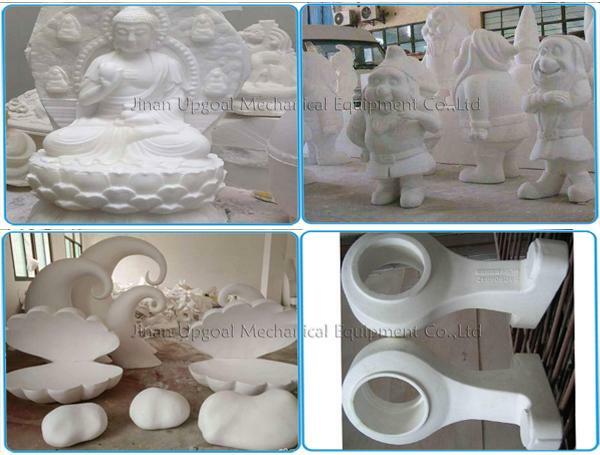 Foam mold, oodworking products, advertising signs, MDF board, cutting engraving Photo frame, sculpture the sofa and the head of a bed, All kinds of wood door carvings, Large furniture relief engraving, Dalle hollow out and simple copper aluminum plastic board, etc. 1. 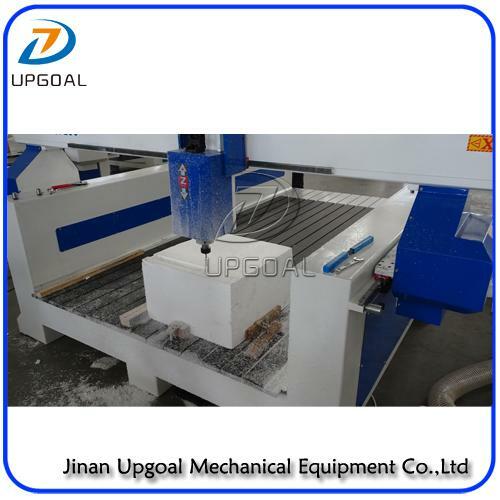 Welded thickness steel tube tructure as a whole with vibration Temper aging treatment ensures no deformation for long time.Cast iron Gantry, the structure is strong and stable. 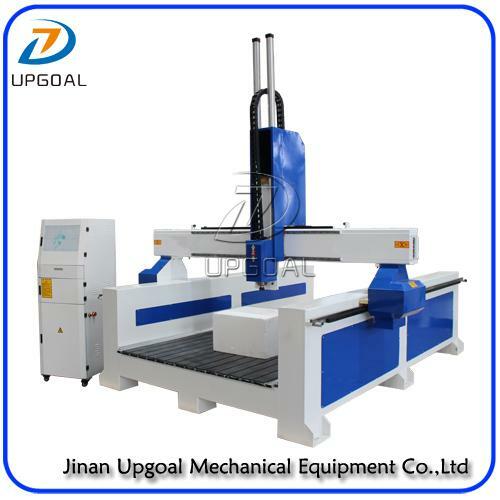 2.Specially designed stable High 700 Z-axis feeding height, more more thickness materials engraving & cutting. 3. Imported Hiwin, Taiwan Linear square guide rail with ball bearing slide block which ensure high weight capacity, high precision, smooth and steady running. 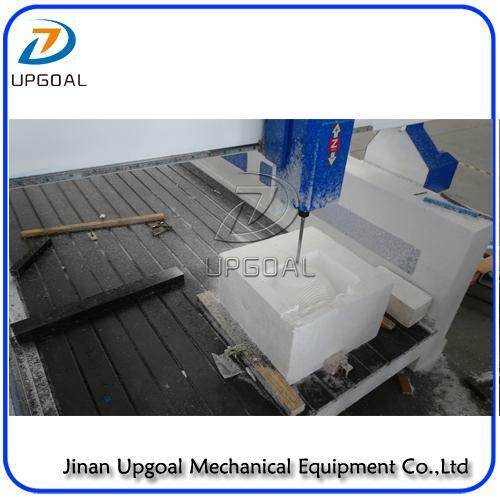 Adopt imported precision ball screws, tools feeded with more accuracy. 4. Large power 3.5kw China HQD air cooling spindle which is with stable performance and high torque, matched with high-performance Frequency Inverter. 5. 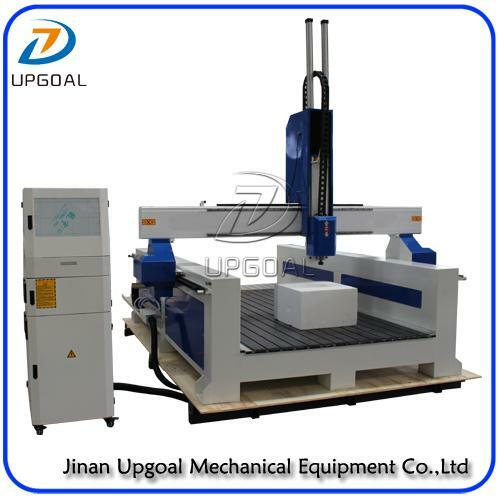 Powerful stepper motor and driver for XYZ-axis, high precision, fast speed and more stable, dual motor Driven Y axis with traveling speed up to more than 25000mm/min. 6. Helical gears pinion with racks type transmission for X and Y axis, higher running speed and efficiency,saving cost. Z- axis with precision ball screw, high precision and more durable. 7.PCI NcStudio control system, enable high processing speed, synchronization of Curve and straight line, more perfect curve working and Spindle start up and stop automatically. 8. Indepedent computer cabinet, keeps computer cleaning during working. 9. 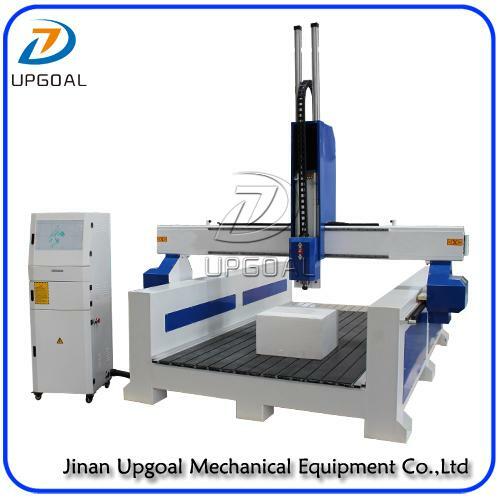 With air cylinder for Z-axis, ensuring no bits dropping during long time working. 11. Semi-auto lubrication system more convenient for maintenance. 13. 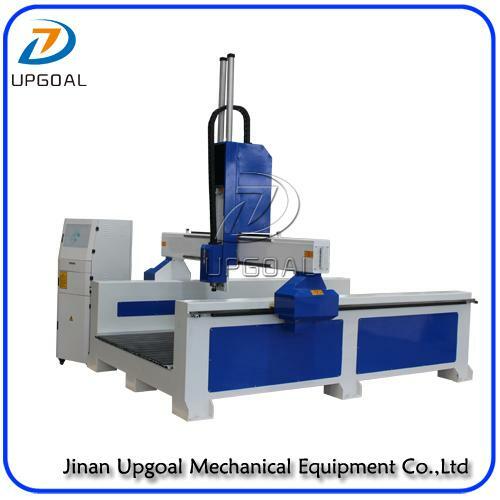 With the function of break-point memory,power failure resuming and automatic home/origin correction , effectively ensure long time working precision.